The Caulfield Guineas is one of the oldest races in Australia. It has been held at the same track, save for a four year stretch in the 1940s when it was moved to Flemington, and has always been run over the mile. Nowadays the set weight (plus penalties) race attracts a huge number of nominations, all keen to get their hands on the $600,000 winner’s purse. Colts and geldings carry 55.5 kilograms, while fillies carry 53.5 kilograms. The first incarnation of the Caulfield Guineas was way back in 1881, when Wheatear was first past the post. Now it’s the race that signals the start of the mini Caulfield leg of the Melbourne Spring Racing Carnival, which ends with the Caulfield Cup on the following Saturday. Other notable races on the card include the Thousand Guineas, Caulfield Stakes and Toorak Handicap – all Group Ones. The young stars of the track often signal their arrivals with wins in this race. 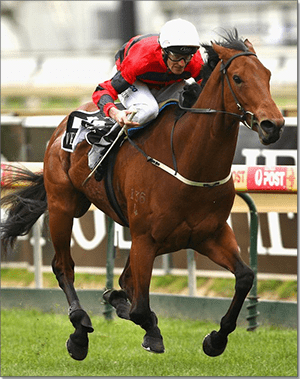 Superstar Lonhro won it in 2001, and others to go on to have supreme careers include Weekend Hussler (2007), Mahogany (1993), Redoutes Choice (1999) and All Too Hard (2012). While the Guineas is one of the most prestigious Group Ones in Victoria, it’s not the greatest form predictor for the Caulfield Cup or the Melbourne Cup. It has generated a few Cox Plate winners, however, and was once a nice form line for the Victoria Derby. Some 16 horses have done the Guineas/Derby double, although none since Helenus in 2002. They call it the ‘stallion-making race’, with many of the colts that take out the Guineas going on to enjoy successful runs at stud. Triple Crown winner Luskin Star was a machine in the paddock, as were Grosvenor, Show A Heart and Red Anchor, while superstar Redoutes Choice once commanded over $300,000. In 1945, Attley and Royal Gem could not be split by the judge and were awarded a dead-heat finish. If a horse wins the race and can back it up with a win in the Caulfield Stakes the week after, it can secure a healthy $250,000 bonus. Punters love the Caulfield Guineas as it is one of the early big group races in the Spring Racing Carnival, giving them a big chance to have a flutter on the tip talent for the first time in the Spring. You’re on the hunt for the best in-betweener you can find. The 1600 metre race is a little short for the proven stayers, but a bit far for the lightening fast sprinters, so you want to scour the form guide hard, and find a horse that has been consistent. Our recommended bookies report massive action on this race, with punters eager to wager their hard earned. It is one of the easier races to follow in terms of form, because it has it’s own mini lead up events. The Caulfield Guineas Preview and the Caulfield Guineas Prelude are great guides to the race, with most of the horses flowing through these races, often required just to be accepted in the big one. But we will temper that by saying that this is a weight for age event, all horses are on a level playing field. It goes purely on talent and which horse fires on the day. The field is often laden with talent, meaning there are always many good chances. If you’re looking to place a wager on the race, but don’t know where to start, look no further than our guide below. Win bets: Can you pick the winner of the Caulfield Guineas? It seems easy… but it’s not. For your bet to win, all you have to do is correctly predict which horse will finish ahead of the rest of the field and put your money where your mouth is. Make sure you scour the form guide and identify which horses have been going well and which have been not so good. Find out which jockey is riding your mount and work out whether they’ve been on fire or on the frier. Once you’ve jumped online and slapped down your money, it’s out of your hands. It’s up to the jockey and the horse to get home on the day. Place bets: Can your favourite horse finish in the top three of the Caulfield Guineas? All it has to do is finish first, second or third. A little easier than picking the winner, but, given that it’s usually a crack field that features the best of the best up and coming stars of the track, it’s still not a guarantee that your horse will be able to muster up the strength to win or fill out the minor placings. Of course, with three chances for you to win, the odds will be a little lighter, but that’s the price you pay. Each way bets: Bets outlaid each way are exactly that – you wager on both the win and the place. It’s like having a back up plan. You think your horse can win the Caulfield Guineas, but you’re not 100 per cent sure. But you are almost certain it can finish in the top three. Have a little each way and you get a win bet and a place bet. Should your horse not manage to win the race, you’ll still get a dividend from your place bet. If it does win, you’ll get a return on both investments. Quinella: Tip the top two. Simple as that. You need to decide which horse will win the race and which horse will come second, in any order. provided they finish in the top two in the Caulfield Guineas, your quinella bet is a winner. Selections are traditionally boxed, meaning they can come in any order. Exacta: Like a quinella, but different. Exactas involve both picking first and second, but also in the order that they finish. So your first selection has to come first and your second selection must come second. Of course you can have extra selections in each, but that will inflate the cost of your bet. If you think you can go one – two, hop online with one of our recommended bookmakers and give it a crack. Duet: Not quite a quinella or an exacta, a duet bet on Caulfield Guineas involves two or more selections, which must finish in the top three. As long as the two horses you select finish either first second or third, your duet wager will pay off. They don’s necessarily have to come one – two. They can finish second and third, or first and third. This is obviously quinella-lite, but it gives you a greater chance to win. Trifecta: Pick the first three. Trifectas are a classic exotic bet type fancied by punters across the world. It’s a huge challenge to firstly select, then back the three horses that come first second and third. It’s not easy at all, especially considering the class that oozes in the Guineas field. To get this bet home is a monumental effort and can produce huge dividends for punters good enough – or lucky enough – to do so. First Four: As tough as it comes. You need to correctly predict the first four horses past the post for this bet to pay off. With so many combinations, it’s really like finding a needle in a haystack. But it can provide monstrous returns, for those punters who somehow manage to select and back the correct result. Not for the faint of heart, the first four can leave you heartbroken when three of your selections get home first, second and third. Futures: The odds for the Caulfield Guineas usually come out around August when acceptances are announced. This gives you a chance to make an early bet, but we’d advise a cautious approach – plenty changes in the weeks before the race and unless you know you’re on a good thing that will be crunched in, it’s good to wait and see what the lead up races hold.